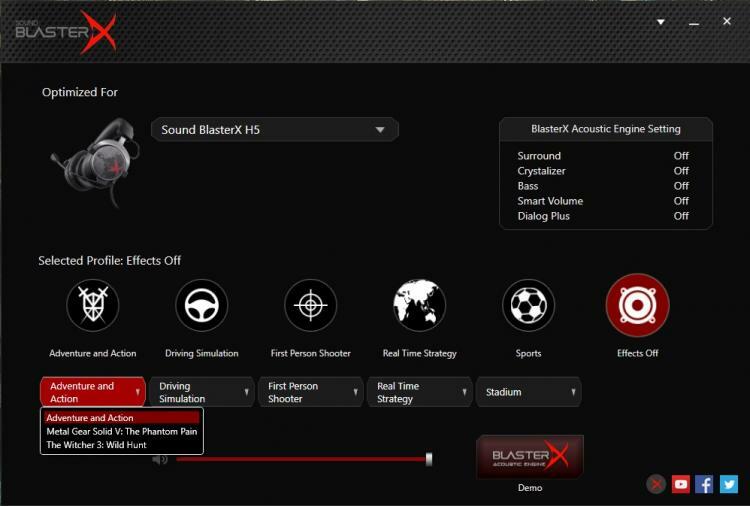 Though not entirely necessary for an analogue headset, you can download the BlasterX Acoustic Lounge software from the product page, which is software emulated audio enhancement. 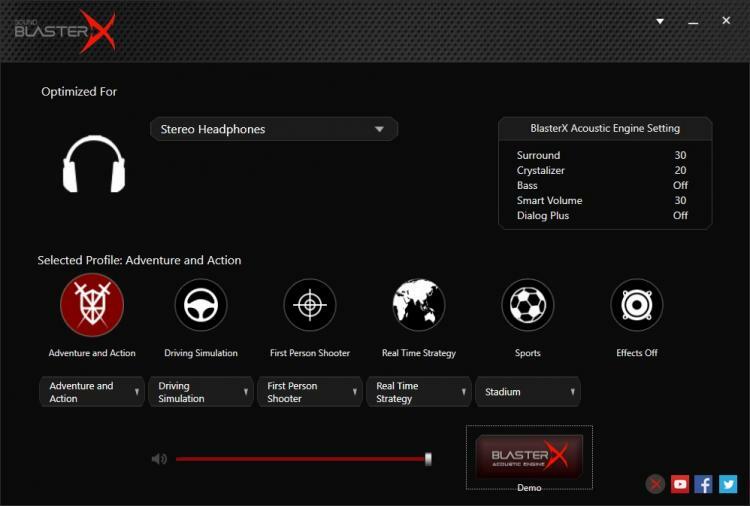 There are a variety of preset adjustments for the BlasterX H5 headset for different games as well as an enhanced stereo surround experience. 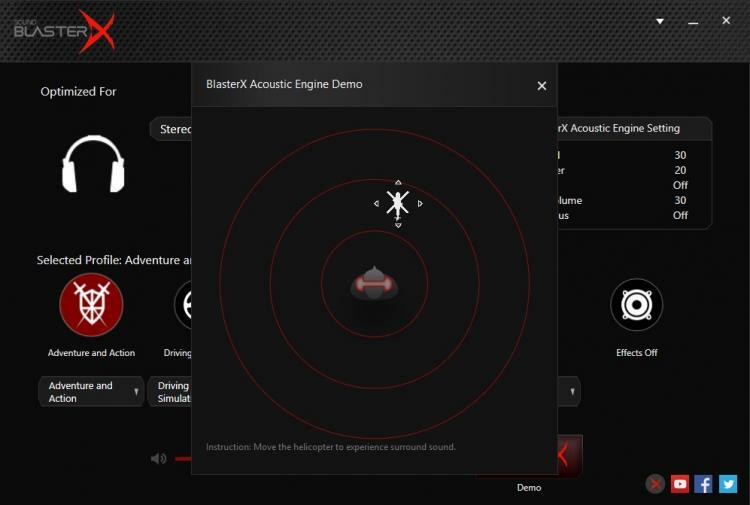 You will need to register with Creative to get access to a free activation code for this software, making it a little time consuming to use, though if you do not have a competent soundcard or headphone amplifier, there is no real harm trying this software out to see if it improves your experience.